At Nexor, we believe a solution can only be a success if the business context and problem space is properly understood. To ensure this is achieved we have developed CyberShield Secure, a consultative delivery methodology for working with our customers. It has been designed to put the customer’s business requirements and security constraints at the heart of any engagement and is based on industry best practice for secure engineering. Our methodology is focused on understanding the customer’s wider operational context and information needs, which can then drive the design of the most appropriate solution. Our consulting capability allows Nexor to work in partnership with the customer to understand the business context and secure information exchange needs. The engineering offering provides a secure development capability to build new functionality, if required, in a secure fashion. The final piece in the methodology is the technology integration capability. This focusses on bringing together all of the components to ensure the solution integrates seamlessly into the business processes and the wider enterprise architecture, and to train the operational and supporting staff. As part of our commitment to delivery excellence, we invest in our certificated process set to ensure that all our solutions meet the customer’s needs in a secure, repeatable, scalable and extendable fashion. To ensure that these processes are robust and follow industry best practice, we open up our business to independent audit in all areas, providing transparency and trust in all that we do. 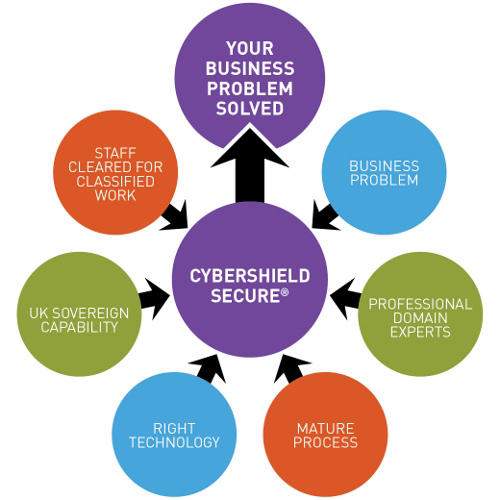 Cyber Essentials (achieved as one of just six companies in the very first batch of organisations to certify). We were also a contributor and industry launch partner of the software standard PAS 754 – “Software Trustworthiness – Governance and management – Specification” developed by the Trustworthy Software Initiative (TSI).